Riding London double-decker buses seem like a dream, but for Londoners, they're simply one of the ways they get around. That's true for tourists, too, but it's still a "This is London!" blast to watch the city go by from the top deck of a bright red bus. 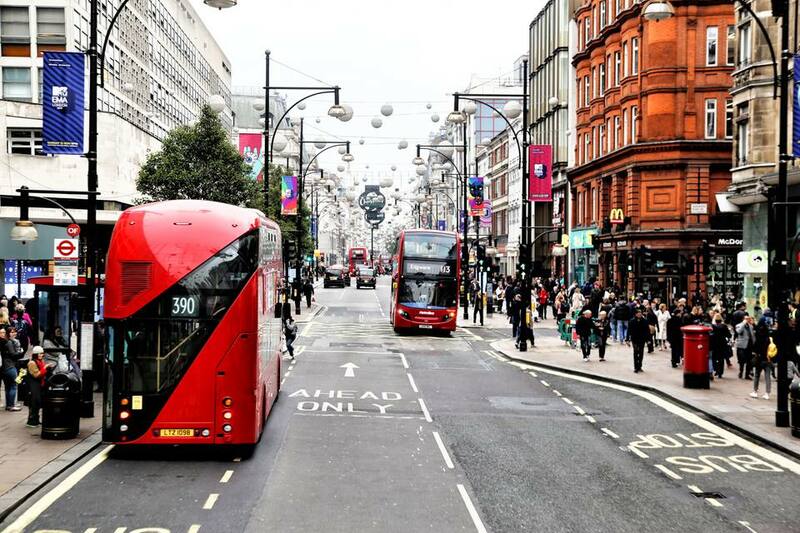 Whether or not you'll get to ride a double-decker bus when taking the London buses does somewhat depend on your route, but if you're in central London (like Piccadilly Circus) you're likely to be able to grab one with ease. Get an Oyster card and hop on for a ride around the city, or simply tap your debit card on the scanner if you have a contactless card. You want to sit on the top deck, of course -- that's the fun! The stairs are behind the driver, who sits on the right. You may see a small TV screen behind the stairs; it may pan the top floor if you want to ensure a seat is open before you climb. Credit card-sized plastic passes called Oyster cards give you lots of London tube and bus rides for cheap, and you can buy Oyster passes in London convenience stores or at tube stations. Get a week's Oyster pass if you're staying three or more days; it's worth it. Oyster cards are a minimum of 5 GBP and you can recharge at any time with any amount. You'll get a deposit and any leftover cash back when you return the Oyster pass at tube stations. When you get on a double-decker bus, swipe your Oyster card over a card reader near the driver (he sits on the right). This is so easy, and London bus drivers so patient, that you'll figure it out the first time you board a double-decker bus. London bus maps are posted at bus stops all over central London. Naturally, it's nice to know where you're going. If you truly haven't a clue, you can always ask the driver -- London bus drivers are the friendliest lot around. It's very easy to get a clue, though, by checking the map at the bus stop. 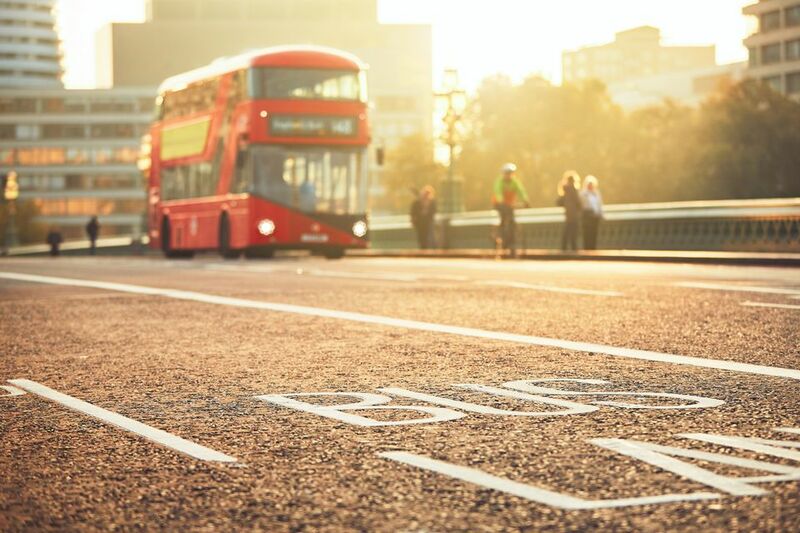 London is one of those remarkably easy public transport cities in which you needn't memorize the subway and bus stops you'll need to know before you leave home, other than the one nearest your hotel and your first destination in the city. Do figure out the terminus -- the last stop -- of the bus line nearest your hotel; that will be on the side and front readerboard of the bus you need to get back to the hotel. If you need to make connections, you can easily figure them out from the legible and logical maps at London bus stops. Find London bus maps online at the Transport for London website -- Transport for London operates the city's buses, which include London double-decker buses. Use the Transport for London's bus trip planner to map in advance which buses you'll take in London. Remember that many bus routes have no buses running at night -- buses running at night will have an "N" in front of the route number. Two outfits operate London sightseeing bus tours which are called hop-on, hop-off tours. The buses used on these routes are called double-decker buses because the roof of the bus is an open-to-the-elements seating area. They're called hop-on, hop-off because you can get off at any point, and the buses do stop near most tourist attractions and get on the next bus from that company when you please. Your ticket is good for 24 hours in summer; 48 hours otherwise. If you're only in London for a day, buy a ticket on this bus -- it's totally worth it to see the sights. London's Original Tour hop-on, hop-off tour buses are clean and the downstairs section is heated. Three circuits, depicted by different colors on company maps and buses, run through central London, crossing paths places like Piccadilly Circus, where you can change circuits. Grab a "Capital Connections" Original Tour bus at your hotel or near a regular bus stop after 8:45 a.m. to catch up with an Original Tour circuit bus.